This dip was always a family favorite growing up! It is sinfully good and impossible to eat in moderation! This recipe from Brown Eyed Baker is the exact same recipe I grew up eating! Sometimes my mom would add cooked rice to the dip to basically make it a casserole on a chip! 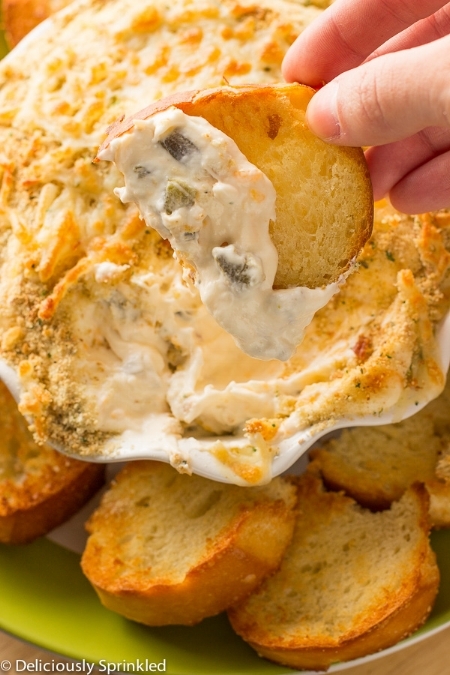 It's delicious and definitely a hearty dip for the most ravenous of your watch guests!! This is one of my favorite dips! 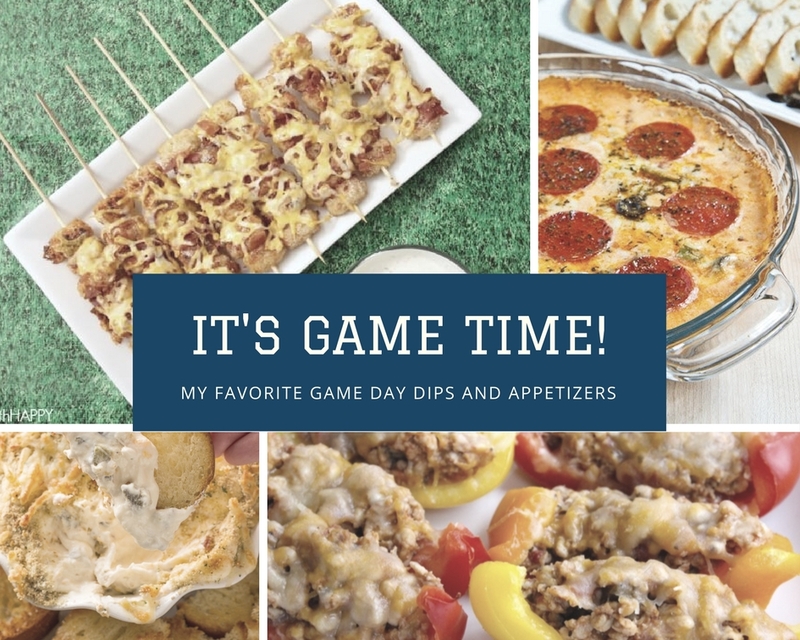 I made this recipe from Deliciously Sprinkled for the first time about five years ago for a Cowboys game get together we were hosting with friends! It was a definite crown pleaser! I make this with jalapenos from our garden so it's extra fresh! Spicy not your thing? Don't worry! It's the perfect mixture of spicy cut with the delicious creaminess of the cream cheese!! Mmm. I can't wait to make this again soon! If you're trying to be a bit healthier this time of year, this recipe from Skinny Ms. is a good way to go! Her skinny bell pepper nacho boats are a guiltless way to enjoy nachos while still sticking to your diet! 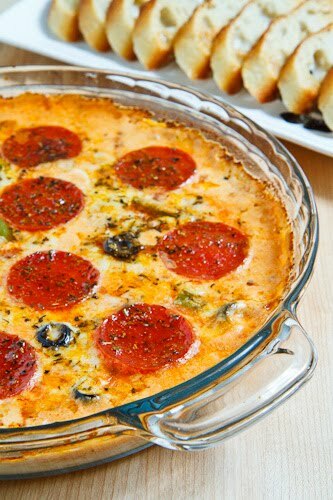 Pizza is my favorite food, so naturally when I found a recipe for Pizza Dip I knew that I had to try it! This has been a crowd favorite among our friends for a few years now!!! It is perfect to serve with a slice of baguette or pita bread!! If you love pizza, you must try it!!! Every year I like to try a few new recipes, and this year these Loaded Tater Tot Skewers are at the top of my list!!! A creative take on a potato skin, these little babes look insanely delicious, and I love that they're skewered for easy eating!! I haven't tried this recipe, but I'll be sure to share my pics on Social Media once I do!!! I saw this recipe on Pinterest and I knew that I had to try it! I am a HUGE pulled pork fan, so the thought of eating it on a grilled cheese made with crescent rolls almost sounded too good to be true!! Matt is so excited about this recipe! I think I'll have to pull it out for the first Cowboys game of the season! I think I better make two pans though, because these will go fast!! I hope y'all try and love these recipes for your friends and family!! Here's to Fall! Go Cowboys! !